At NauticaEVC, we rely on a charter travel service with stops on various Caribbean islands. We focus on presenting a 100% personalized, completely exclusive service. We offer the best destinations for travellers who want to enjoy the beauty of nature without leaving luxury behind. We have high profile clients that take advantage of the privacy and exclusivity that only we can offer. Enjoy a magical journey together with your family or friends aboard one of our luxury yachts. 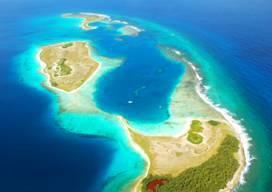 * Los Roques: Composed of more than 50 islands, the extremely beautiful cays and coral reefs of Los Roques house valuable natural resources and one of the richest marine ecosystems in the world, making it a terrestrial paradise for all Venezuelans. But because they are unspoiled islands and only one of them is populated, Los Roques does not rely on large luxury hotels, but rather on small standard-category inns, which is also an excellent reason to get to know this beautiful place aboard a luxury yacht. 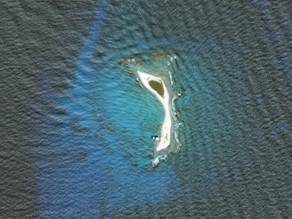 * Las Aves: This island of birds is a small sandy island surrounded by a corral barrier, being the only island of an extensive undersea mountain range known for the prominence of its birds. Thanks to white sand beaches and crystalline waters, you will find peace and an exceptional natural environment here. * Isla la Tortuga: For all of its history and natural attractions, Turtle island is one of the best-guarded secrets of the Venezuelan Caribbean. Due to its strong sun and lack of water and vegetation, La Tortuga is constantly visited by migratory birds. It is the purity of its white sands and crystalline waters of Punta Delgada, Punta Oriental, La Piscina, Carenero and Herradura that makes La Tortuga so attractive for aviators and wind surfers, who see a potential zone for healthy ecotourism development in Venezuela. What is included in our VIP package? We focus on presenting a luxury, personalized service, and we are known for paying attention to even the smallest details. * All meals: The package includes breakfast, lunch and dinner. Of course a range of snacks, refreshments and sweets are provided, which are ideal for enjoying a day on the beach. There is a cook on board the yacht awaiting his clientsÔÇÖ needs. We always ask for a list of culinary suggestions that takes into account personal preferences, brands, diets, allergies, etc. * Drinks: juice, soft drinks, Nestea, cocktails, mineral water. A bottle per day of 12-year-old whisky, wine, vodka, rum, beer (national and imported). We always aim to satisfy our clients with brand preferences and types of liquors. 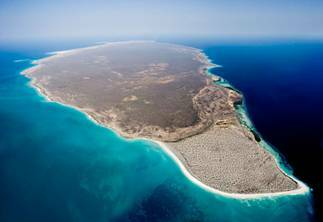 * Recreational activities: snorkelling, fishing, beach racquets, dinghy trips. * Attention and service: 100% personalized 24-hour service. Capitan and sailor on board. Flower arrangements. Cabin cleaning service. Breakfast on the beach. Open bar service all day long.